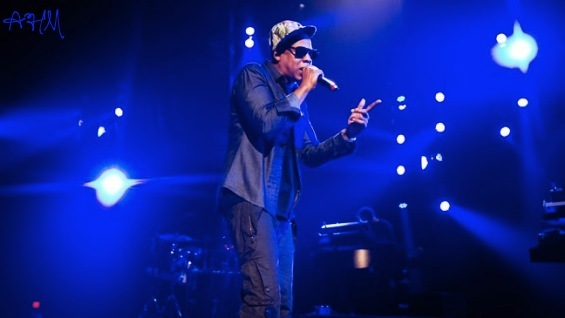 Jay-Z and American Express hooked up for a hour-long free show in Austin, Texas for South by Southwest (SXSW). The Roc Nation captain stepped on to the stage 40 minutes late with some fresh Nike AirYeezy 2’s designed by fellow Watch The Throne collaborator Kanye West. The show was broadcast live on YouTube and VEVO for mobile devices.